Keeping a journal is a technique that can help you make improvements in your life. To some people, the ability to keep a journal comes natural, while others struggle with it. Whether you keep a consistent daily journal, an occasional journal, or simply jot notes to yourself when ideas come to you, this technique can have powerful implications in helping you attain your goals. Putting your goals, thoughts, hopes, and dreams on paper can help you actualize what matters to you most. Bring your goals and dreams to life by writing them down. Read them as often as you can to focus your mind on living the life you desire. 1. Write quickly and passionately. Let the ideas flow onto the paper without dwelling on one thing for too long. Writing in this manner will allow your goals, dreams and wishes to flow out freely beyond what you thought possible! Try setting a time goal and writing freely without pause until the period ends. Once you're finished, you may be surprised with what you've written and gain new insight and understanding from this activity. You may not be an everyday writer, but formulate a routine to keep your journal flowing. When you write on a daily or weekly basis, you'll find a greater consistency to your thoughts and reflections. 3. Set goals and reflect on them. Outline your most important self-improvement goals when you begin your journaling experience. Reflect on them often to determine whether or not you're taking active steps toward achieving them. You can be completely honest in your journal because no one else will read it but you. Share your secrets, dreams, and desires - even the ones you cannot share with anyone else. Use your journal as a sounding board, and never sacrifice honesty for any reason. 5. Ask yourself tough questions. Self-reflection is an important aspect of self-improvement, and your journal can aid significantly in the reflection process. Ask yourself questions about where you're at in life and where you want to be so you can brainstorm the necessary steps in the self-improvement process. 6. Refer back to your past writing regularly. When you have a bad day, look at your positive writing to ease your thoughts. When you feel lost or unsure about yourself, look back over your goals and insights to find guidance. There's a wealth of vital information in your journal if you use it consistently, and you can turn back to this information to show you where to go next. 7. Choose a journal that's right for you. Select a journal that resonates within you, something that you feel comfortable and confident writing in. 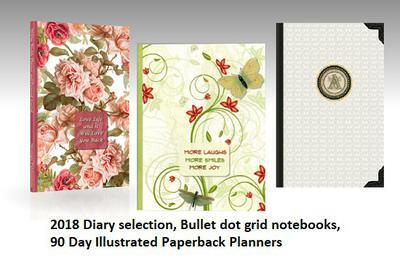 You can purchase a journal from a bookstore, create your own, or simply collect loose pages in a binder. The right journal will inspire you to use it. Simply putting your thoughts down on paper can help you realize your dreams and focus your attention on what truly matters in your life. Strive to write in your journal as often as you need, and refer back to what you write to help you keep those goals in mind. Journaling is a powerful tool, but is only effective when you're willing to put your passion into it. Check out the latest Strategic Publications releases of Journals and Personal Planners.